Esa Pietilä (b. 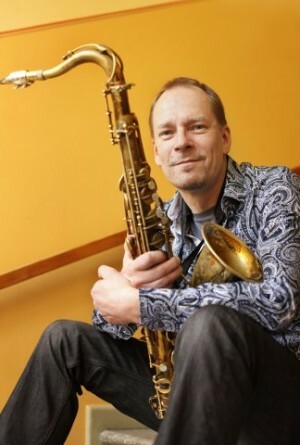 1964) is a distinguished Finnish saxophone player and composer. Besides his own solo and composing projects Pietilä is known from his internationally successful, established Esa Pietilä Trio and 4 Streams Quartet formed in 2008. Pietilä's newest ensemble, in 2013 based Esa Pietilä Liberty Ship, published the debut album "Approaching" in October 2013. The album was recognized nationally by media. Besides these groups, Pietilä performs with several Finnish and international artists and partners. Esa Pietilä has been characterized to be a technical virtuoso, brave improviser and visionary whose imagination creates interesting sagas (FIMIC 2008).